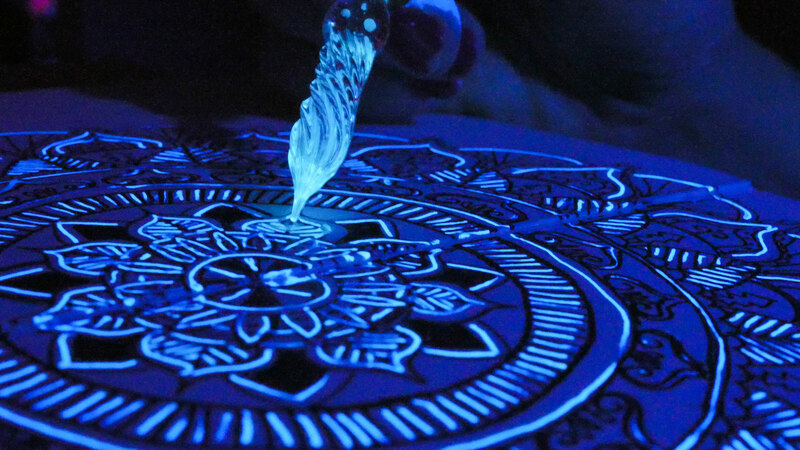 Blacklight or "Glowy" Ink glows brightly under black light/Ultraviolet light or glows in the dark. Arcane Objects carries two kinds of glowy ink, Noodler's Blue Ghost, and J. Herbin's Phosphorescent Ink. Black light ink is fun to use and a versatile new art material. 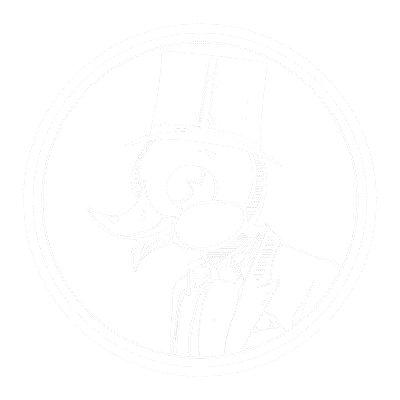 The semi-magical qualities of both inks are that they are completely invisible under white, (normal), light. American manufacturer, Noodler's, creates the Blue Ghost ink, which is fountain pen friendly ink and which can also be used with dip pens. 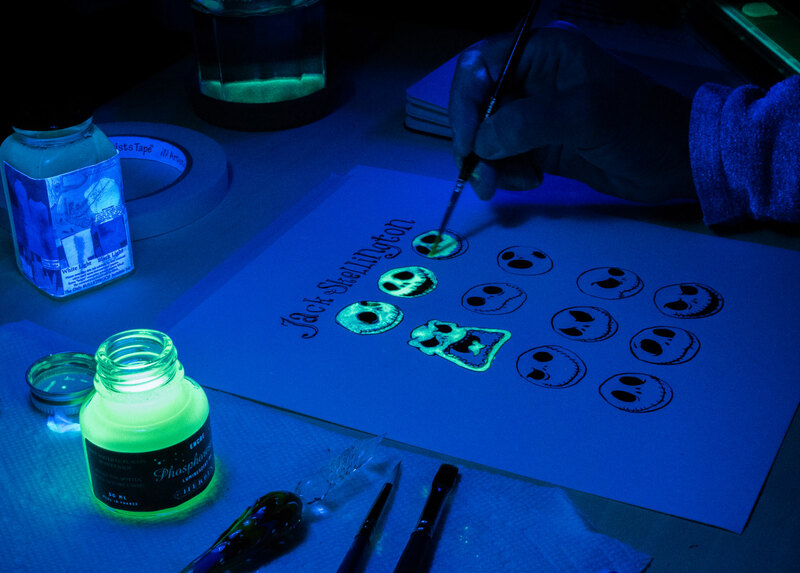 The Phosphorescent Ink from French manufacturer J. Herbin glows faintly in the dark and has a glowing green luminescence in black light. J. Herbin's Phosphorescent Ink is for dip pens only, and the phosphorescent particles will clog a fountain pen. As an artist, I've worked with many mediums and wanted to try these inks with different art materials. I chose felt-tipped markers, Derwent Inktense Colored pencils, and Sennelier's China Ink. Inspired by the fabulous black light ink drawing video created by Peter Draws, I decided to start with a mandala and Noodler's Blue Ghost ink. 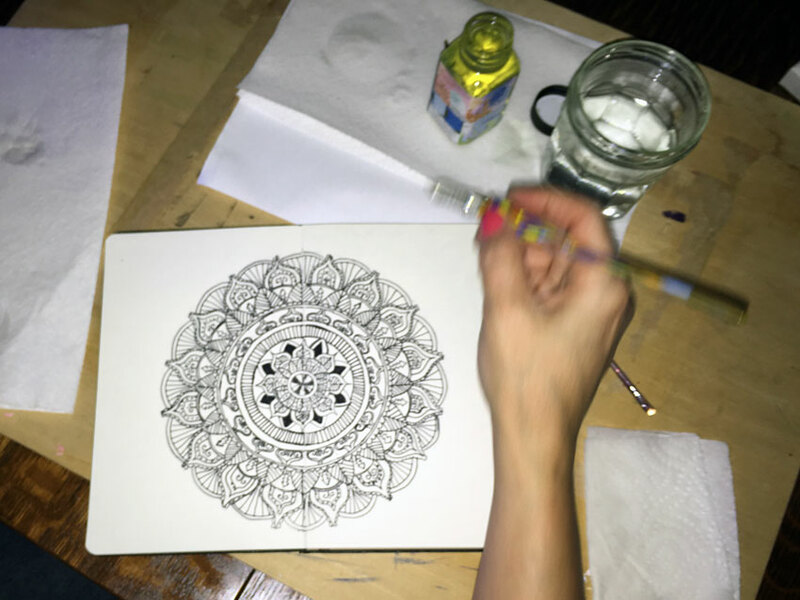 I first drew a mandala in pencil in my Moleskine sketchbook. I then went over this mandala with a fine-tipped black sharpie. Then came the fun stuff! Glowy ink! Next, I wanted to try the J. Herbin Phosphorescent Ink out with some Sennelier China Ink. I made sure to pair the glowy inks with waterproof black outlining ink in case non-waterproof ink would make the black ink run. This worked perfectly! I chose Jack Skellington as my test subject, and you can see the results as Jack glows brightly green in black light and more faintly ghostly green in the dark. For my next test, I was curious to see how the Blue Ghost did over watercolor or colored pencils. I chose Jack's faithful undead dog, Zero. Naturally, I chose to paint this ghost dog with Noodler's Blue Ghost Ink. I first drew Zero in Derwent's Inktense Colored Pencils. (See the top photo for the white light result.) These pencils have vibrant colors when dry, but they really pop when you add water! These work like highly pigmented aqua media pencils. As you can see by the results, there was no discoloration or running of the pencils or watercolors. Zero glows blue and ghostly under a black light and looks like a regular watercolor pencil drawing in white light. We hope you've enjoyed this exploration into glowy ink and various drawing/painting media. Try it yourself! We offer our Cheshire Cat Madness Glowy Ink Drawing Set with both the Noodler's Blue Ghost Ink and J. Herbin's Phosphorescent Ink. Or you can buy a bottle of the Blue Ghost and the Phosphorescent Ink alone, or paired with a glass pen. You can also purchase the Blue Ghost ink in a 4.5-ounce size with a clear fountain pen included. Give one of these glowy inks a try!